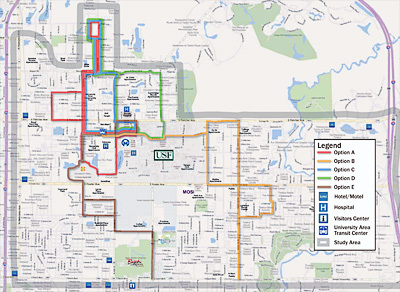 After a year-long study, the MPO has proposed five options for traveling around the USF Area by small circulator buses.  The University Area Transit Circulator Study looked at travel patterns and identified needed circulation improvements and opportunities for public/private collaboration.  The University Area is a focal point for redevelopment. New circulator service would improve mobility for employees, customers, students, visitors and guests. 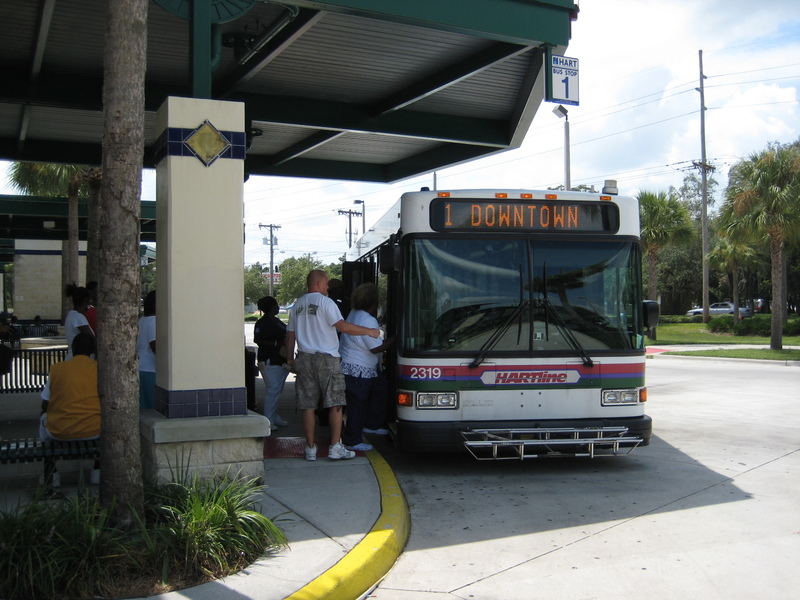 Currently, most transit services make connections from the University Area to other areas in the County. The new circulator service is designed to serve just the University Area, eliminating the need for several transfers. Option D, shown on the map above in green, was chosen as the preferred circulator route because of expectated higher performance and lower cost to operate and maintain. 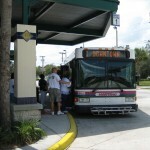 This option will complement HART’s bus service and USF’s Bull Runner campus shuttle to better serve the University Area. It would run every 30 minutes or less at a cost of approximately $670,000 per year. Funding will need to come from a mix of sources, including local, state, federal and private.The MPO is working with stakeholders in the University Area, including the New North Transportation Alliance, to wrap up the study and work towards implementation.The circulator study is slated be presented at the MPO’s next regular monthly meeting on June 4th following the Transportation Improvement Plan Public Hearing at 9 a.m.